myStorm Anlogic board a possibility? Have seen some mention around about the 'Anlogic' FPGAs from China - which makes getting a board down to the $5 / $10 price point seem more realistic? Documenting the Anlogic FPGA bit-stream format. Contribute to mmicko/prjtang development by creating an account on GitHub. ...but again there is a language barrier, as a lot of the writing on that work is in Polish? Yes a definite possibility, I have seen these (and there are other Chinese FPGA companies) haven't spoken to Miodrag to see how far he has got with the nextpnr/yosys port (This is a fairly recent effort) for these parts..
Good find on the translated documentation. The Tang is available on Bangood (search for "Lichee Tang" for around £20. The Tang is available on Bangood (search for "Lichee Tang" for around £20. 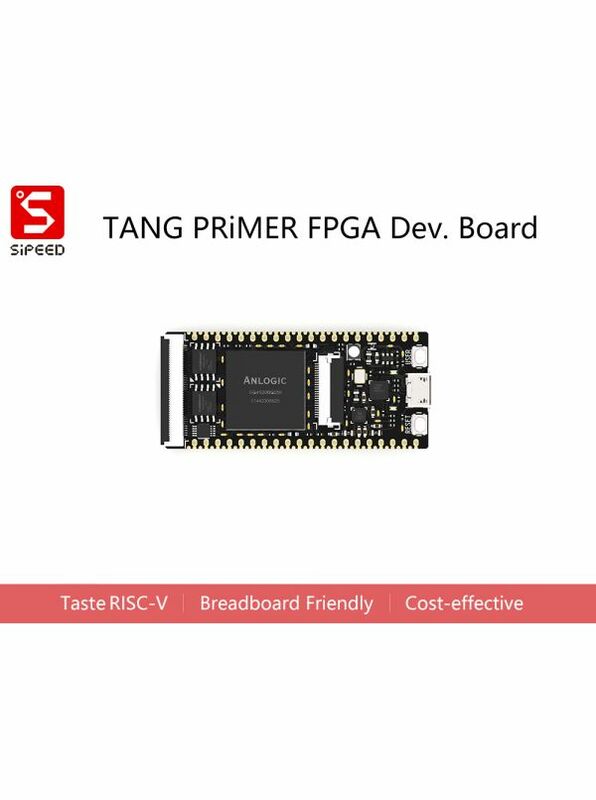 Tang features Anlogic EG4S20 FPGA – unrelated to Amlogic – which run a RISC-V softcore, and all is packaged in a small small form factor.